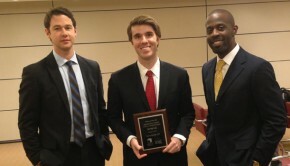 Maurice A. Deane School of Law students Brian Boxler 3L, Brendan Friedman 3L and Paul Liggieri 3L were named Region 2 National Moot Court Champions at the New York City Bar Association on November 21, 2013. The team won Best Brief and Best Overall Team honors. 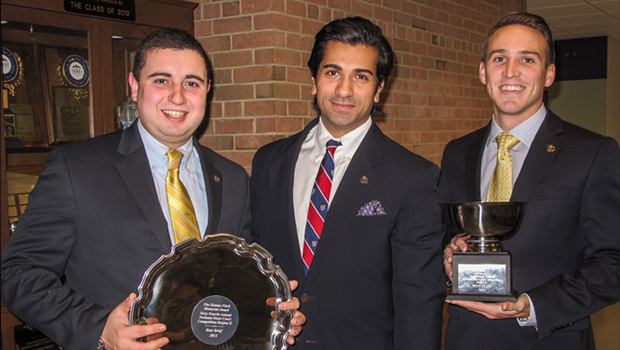 This is the second time in three years that a Hofstra Law team has won the regional competition. 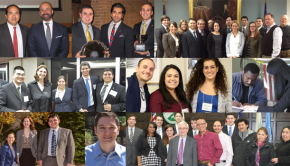 The team, which has competed together in past competitions, won all four rounds, defeating 15 other law schools from the tri-state region. They advance to the National Finals, which will take place at the New York City Bar on February 10-13, 2014. The team was coached by four Hofstra Law alumni, who also competed on moot court teams while in law school: Kim Luckey ’99, Robert Harper ’07, Steven Sachs ’05 and Grant Shehigian ’07. Recent graduates Adam Kahn ’13 and Mirel Fisch ’13 also advised the team. Since 1950, the New York City Bar and the American College of Trial Lawyers have sponsored this National Moot Court Competition. 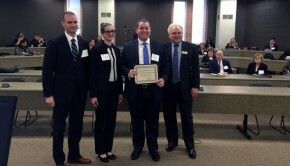 Every year, over 150 law schools compete in the regional rounds throughout the U.S., and the winners advance to the final rounds held at the New York City Bar. This widely recognized National Moot Court Competition allows law students to hone their appellate advocacy skills by arguing before prominent members of the legal profession.